Click on any hexagon (which will turn red or blue) to make a move. The first clicked hexagon will always be red. The first player will try to make a connected path of red hexagons from RED to RED. 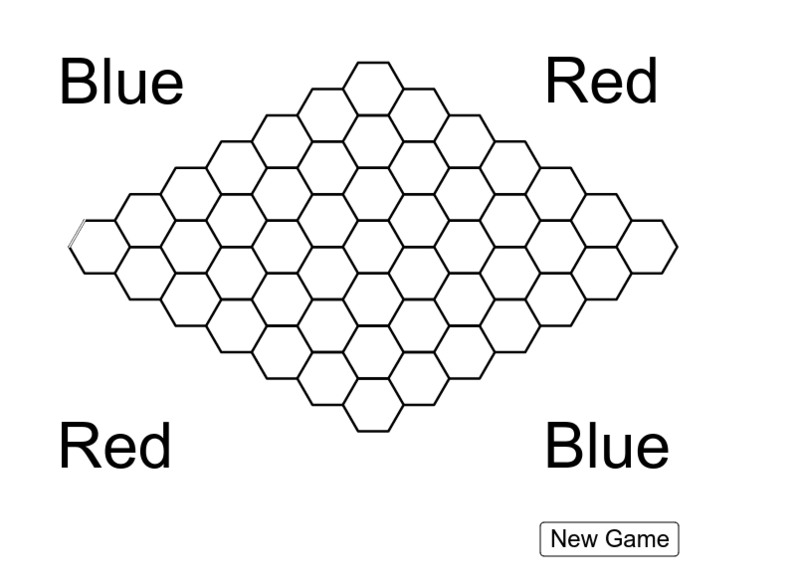 The second player will try to make a connected path of blue hexagons from BLUE to BLUE. You can not click on the center hexagon for your first move.